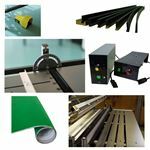 Plastic Bending: Plastic Bending Systems. Abbeon, Industrial Plastic Working Equipment & Precision Instruments. 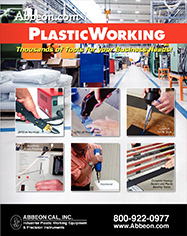 Abbeon Cal Inc, publisher of the PlasticWorking catalog and several web sites including Abbeon.com, has been providing specialty tools and instruments to businesses since 1946. It is our mission at Abbeon to provide project solutions and outstanding customer service. We make a positive effort to sell only the best merchandise at a fair price and with our 100% GUARANTEE OF ABSOLUTE SATISFACTION.